The Back to the Future Cartoon: What Went Wrong | Nerd Much? The Back to the Future trilogy will forever be the best movie trilogy of all-time; it has a special place in our hearts and the hearts of many sci-fi-loving nerds like us. There has been a lot of talk about the movies already this year because of this year being its 30th anniversary. Most recently, we learned director Robert Zemeckis was adamant about not allowing a remake while he was still alive. Thankfully. But it got us thinking about the other Back to the Future mediums we’ve seen, like the animated Back to the Future TV show. At the time, following Back to the Future Part 3, many fans still wanted more. But instead of just giving us a Back to the Future 4, the two Bobs gave us an animated TV series. 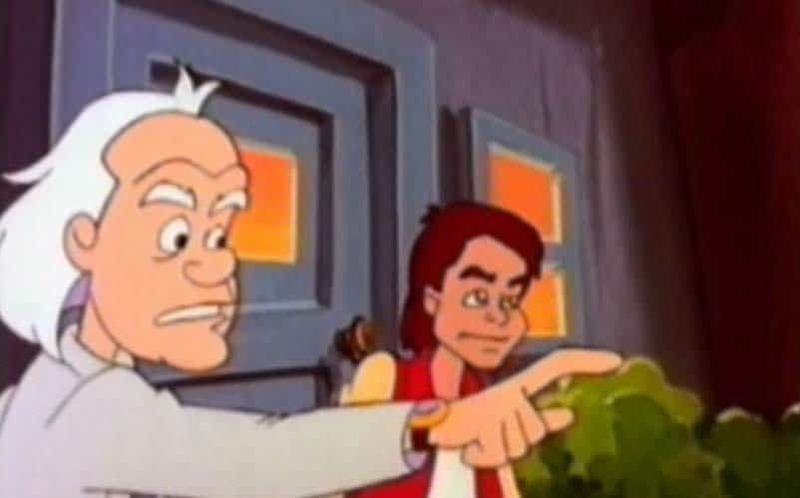 The Back to the Future cartoon TV show was an interesting venture, sure. It was a cool concept where Marty, Doc and Doc’s children (Jules and Verne) and Einstein the dog would get into new trouble every episode using the modified DeLorean — which was apparently rebuilt in episode 1 following it being destroyed at the end of the movie trilogy. Of course, the newly built DeLorean had some new modifications (it did take place in 1991 in Hill Valley, after all). First, it could fold up into a suitcase, and secondly, it now had voice-activated time circuits that would allow it to travel to different locations instantly. 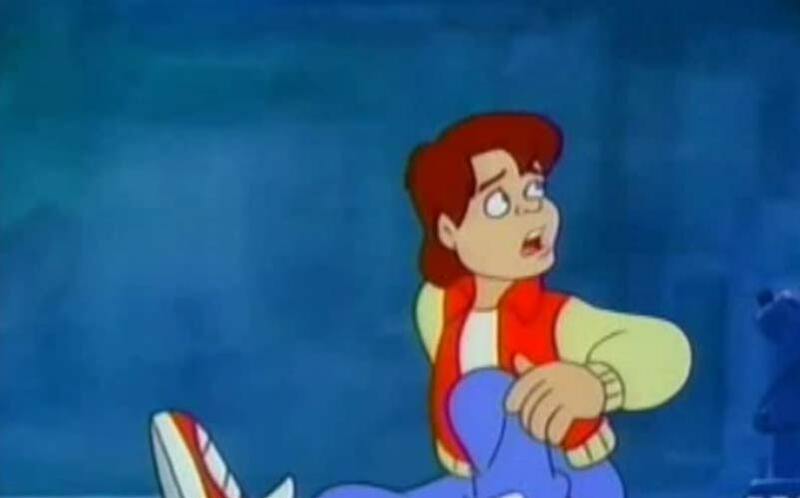 The show’s biggest problem was that it was completely Michael J. Fox-less, and it was strangely noticeable just how awful the new Marty McFly (voiced by David Kaufman) was. Kaufman’s McFly was nothing like Michael J. Fox’s was, of course. In fact, the new McFly completely messed with the vibe of BTTF, and it was probably the biggest influence in canceling the BTTF animated series. But it wasn’t the show’s only problem, no. While Christopher Lloyd was a part of the live-action segments of the show (which were at the beginning and end of every episode), he somehow didn’t voice his animated counterpart. Instead, the job was given to voice actor Dan Castellaneta (The Simpsons, Futurama). Castelleneta did a well enough job of voicing Dr. Emmett Brown, but it wasn’t quite Christopher Lloyd. In fact, I’d say that Castelleneta’s Doc Brown was a tad over-the-top and exaggerated. The show was written and directed by Bob Gale and Robert Zemeckis respectively, so you would think that the BTTF:TAS would’ve been much better than it was. But simply put, there were a lot of cringe-worthy moments in the show. Some of the expressions that Doc would use in the show wouldn’t have been said by Doc in the movie trilogy. 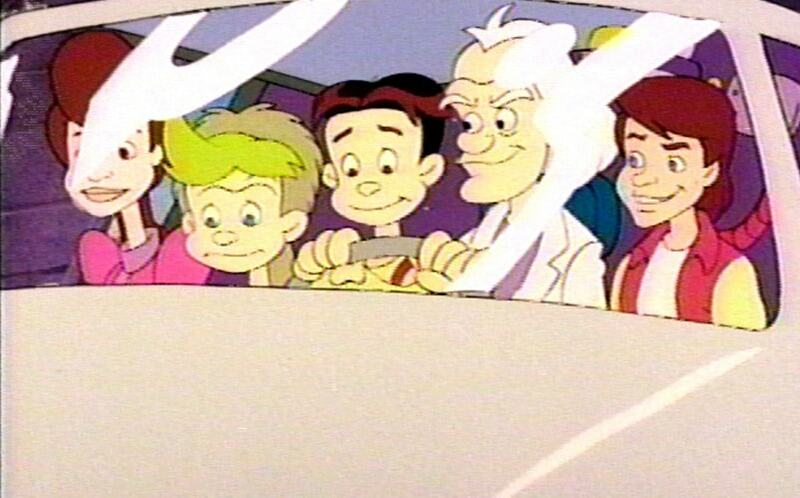 The Back to the Future animated series’ second BIG problem was that it was aimed at young children watching cartoons on Saturday morning. Given that the first movie was only released in 1985, and the animated series was introduced in 1991, and you had to be at least 10 or 11 years old to even begin to appreciate the movie, the targeted demographic was all wrong. So those that were old enough to appreciate the BTTF movie trilogy were too old to appreciate the animated series. Standing on its own, the animated show got on well enough. There were some good moments, like all of the experiments from Bill Nye in every episode, and when Biff (voiced by Thomas F. Wilson) would tell a kid’s joke at the end and get tomatoes thrown at him. It wasn’t all bad, no. The show had a lot of good ideas, actually, like an episode where Marty and Doc go back to the ancient Amazon river to find an extinct frog, or Doc’s kids driving themselves back in time without Doc or Marty, or Jules growing a money tree and playing rich boy. But generally speaking, the animated series was just mediocre, which is ultimately unacceptable when compared to the original trilogy’s greatness. The Back to the Future cartoon TV show sat somewhere between the Ace Venture and The Mask animated series, as far as movies-to-cartoon shows are concerned. If a new Back to the Future animated TV series were to be put into production now, I think the reception would be much different, as the quality would probably be a bit better. Then again, we’d still have the problem where Marty McFly would likely not be voiced by Michael J. Fox. Damn, now I’m filled with sadness again. What do you think? Did you like the Back to the Future animated TV show? Could a new Back to the Future work? Sound off in the comments below, as we’d love to hear from you! Follow us on Twitter to stay up to date with all things nerd..